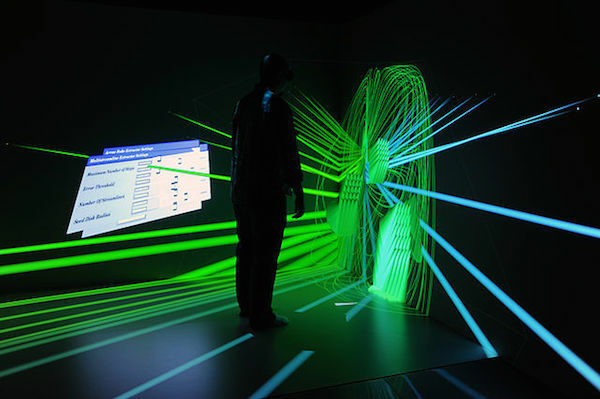 Engineering teams can use the CAVE at INL’s Center for Advanced Energy Studies to tour a virtual nuclear reactor, train staff, orient subcontractors and consider new designs. Many people who enjoy working with computers and programming find that they are able to enter fields that are both challenging and rewarding when they focus their education by taking a computer engineering degree. This degree combines knowledge from electrical engineering and computer science and applies it to the design of computer hardware and software. The degree is very versatile and can be used as the stepping stones to professions in other countries, teaching, or developing a business. The demand for this profession will continue to grow and the ability to create computer programs and systems that will meet the needs of customers will provide excellent income potential to a person that possesses a computer engineering qualification. This page provides more details of where you can find these prestigious programs. Pursuing a computer engineering program online gives you the ability to expand your opportunities and increase your salary without disrupting your current income. You may also find some related programs in the computer science online programs page. What is studied in a computer engineering degree? The coursework of the online program is the same as a campus-based university program. A bachelors program will take four to five years to complete. The first couple of years are often the same as for other engineering programs, after which time students specialize in their chosen area. Typically, computer engineering courses will include: electronics, control engineering, process control and instrumentation, computer architecture, database systems, computer networking, programming languages, Internet and web programming, wireless communication, and social and professional issues. In most cases, the professor will maintain communication with the class and individual students via email, class discussion boards, and through telephone communication when a student has a question about coursework. There will probably be online group assignments as well as individual assignments. In a typical masters in computer engineering, courses might include: algorithms, artificial intelligence, computer architecture, advanced microprocessor systems, microcontrollers in instrumentation, computer network design, and advanced operating systems. A PhD in computer engineering would include some of the masters courses, but would also provide an opportunity for you to conduct research in an area of your choice. You would then write a thesis presenting your research results and defend this in front of a small panel of experts. After attaining the degree, the ability to advance in your field will expand. Some people gain promotion in their company while others find new opportunities available that give them a greater salary. The salary, with the degree, will vary depending on the company you work for and your location. The average computer engineer salary in the United States for a bachelor of science degree in computer engineering is $56,000 – $73,000. With a masters in computer engineering, the range is from $62,000 to $85,000. Virtually every industry needs computer engineers so many people who pursue this degree focus on a specific industry need that they can transfer to their current company or industry. Engineers at large, established technological corporations usually make more on average, between $84,000-$100,000 annually as opposed to industries that are service related. The field of computer engineering is expanding and growing continually and your success in your computer engineering career will lie in your ability to maintain and update your knowledge in the field. Many companies provide incentives for staff who want to take a computer engineering degree. The incentives will often include assistance with the costs of school and more challenging positions after completion of the program. The need for computer engineering professionals is becoming more prevalent in the health care industry as laws and regulations in the United States move toward systems that are completely electronic and integrated with medical records and support areas. The systems are intricate and provide the engineer with many challenges that are not seen in other industries.